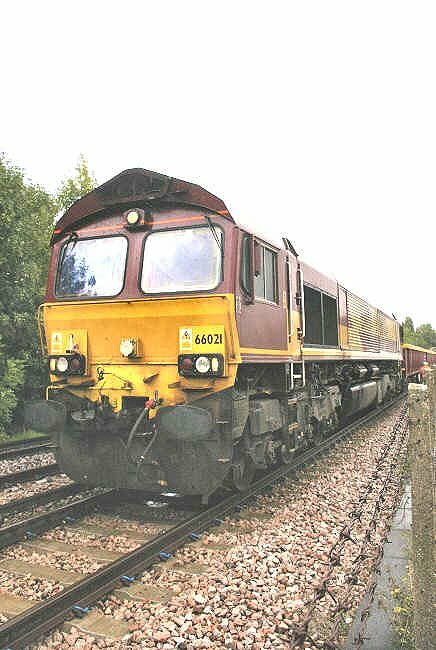 EWS locomotive 66041 stands at the head of train 6N35 just outside of West Ewell station on 6th September 2008. 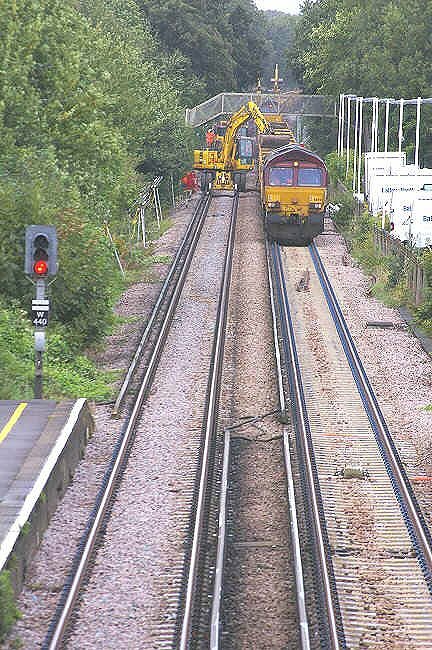 The train had brought new ballast from Hoo Junction, which is being unloaded by mechanical excavators. 66041 waits with train 6N35 while it is being unloaded at West Ewell station on 6th September 2008. A closer view of 66041. This locomotive was built by the Electro-Motive Division of General Motors (GM-EMD) at their London, Ontario, facility in Canada. 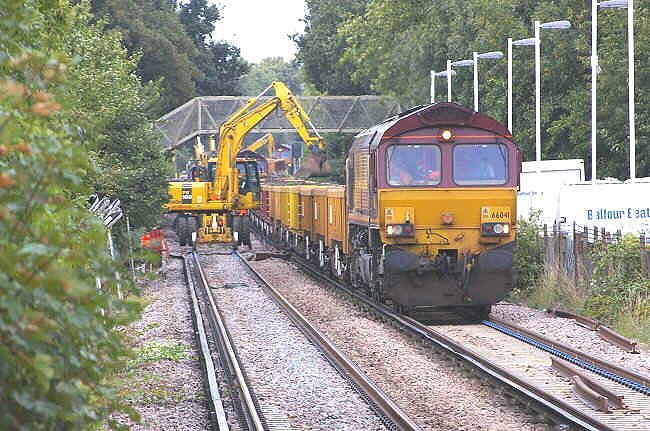 Photograph taken at West Ewell on 6th September 2008. 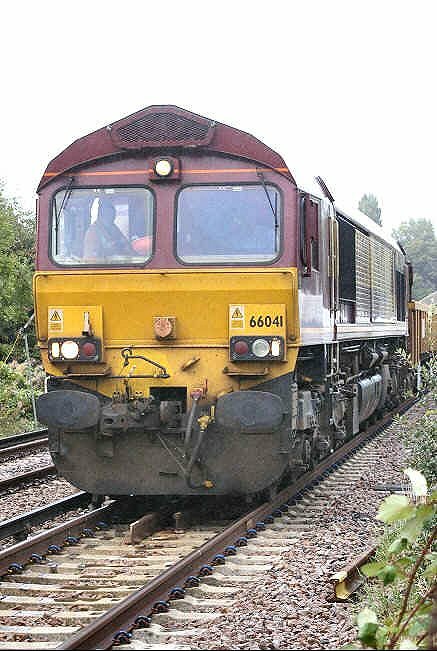 When locomotive 66041 had left the work site her place was taken by 66021 and train 6N35 which had brought ballast from Hoo Junction. This locomotive too was built by General Motors in Canada. 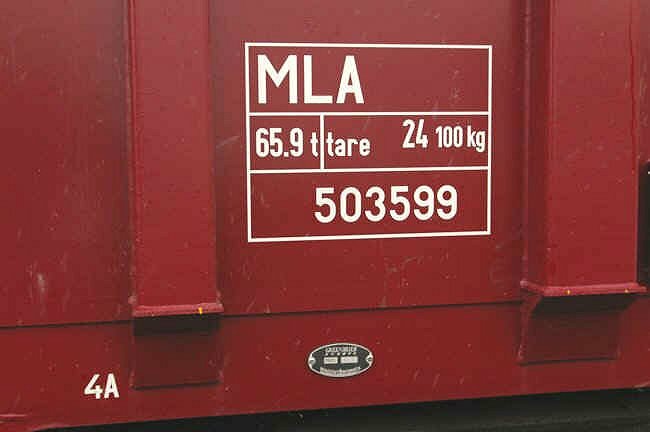 The first few wagons in train 6N35 were type MLA, built by Greenier at their Wagony Swidnica facility in Poland. This example carries a makers plate indicating it was built in 2008. The next few vehicles in train 6N35 were type JNA "Falcon" privately owned wagons built by Astro Vagone of Arad in Romania. 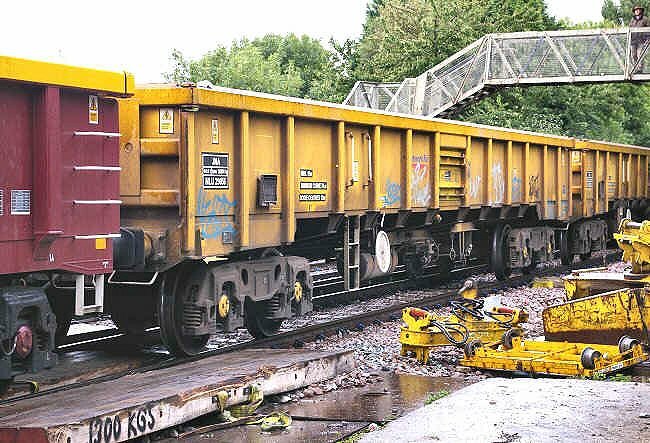 This example was NLU 29056, belonging to Network Rail's National Logistics Unit.